@Tucson1: Nothing wrong with Bluegrass. Spent Several successive Sunday jam sessions with our local bluegrass band. 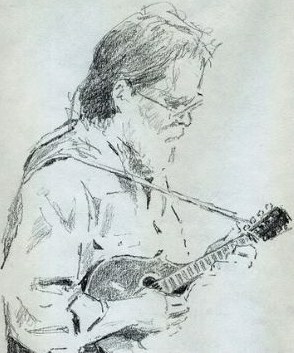 Most of the time the mandolin player spent the 2-3 hrs playing rhythmic chop chords as the mandolin played the roll of snare drum while the Bass kept the main beat. Only occasionally did the mandolinist get to play lead since he had to share that role with Fiddle, 2 guitars, and a banjo player who also doubled on mandolin. Bluegrass is fine to listen to but I think being part of the rhythm section terribly limiting for a beautiful instrument. Ha ha.. Tucs.. I like your sense of humor... Funny Guy! Seriously, though, I've been to two bluegrass jams so far and I've been very glad to have my mando and have been perfectly happy to just play chords. 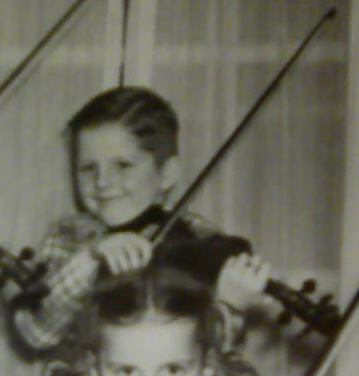 I never would have been able to keep up on fiddle or lead mando. I hope that will change eventually, but for now I'm happy to just strum or chop along and try to absorb the music and observe good players' technique. #1 I used to live in Tucson, and anyone that knows how to spell it, must have lived there as well. I really can't believe my good fortune, but I have been introduced to a mandolin player, a bass player, and well.... I knew the guitar player-- just one mile down the street- who would have thunk it ? all beautiful people. Can anyone suggest a song that I can learn that would accommodate us ? we are working together almost daily, but I really don't feel I fit in yet with the music selection..... although- I have to say, my violin picks up the voice voice of the mandolin player (also the singer) really well ! @Leana Have you seen the Brian Wicklund books? When I switched from learning Suzuki I found those 2 amazing books. I have been going to a great bluegrass jam for 2 years now. The people are awesome!! I have learned so much from them. I was so excited last night when I was I able to hear chord changes coming!! LOL! @Tucson I changed my name from Pat to Patty! Sounds more bluegrassy!! hehe! !